Earth benefits from spaceflight R&D span the biomedical, biotechnology, and agricultural industries. Microgravity induces changes in organisms ranging from viruses and bacteria to humans, including altered gene expression and DNA regulation, changes in cellular function and physiology, and 3D aggregation of cells. A variety of spaceflight-induced health conditions may serve as models of ground-based ailments such as aging, osteoporosis, and wound healing. Effects of microgravity on fluid dynamics allow improved growth of protein crystals and optimization of nanofluidics systems for biotechnology applications including drug delivery and medical diagnostics. 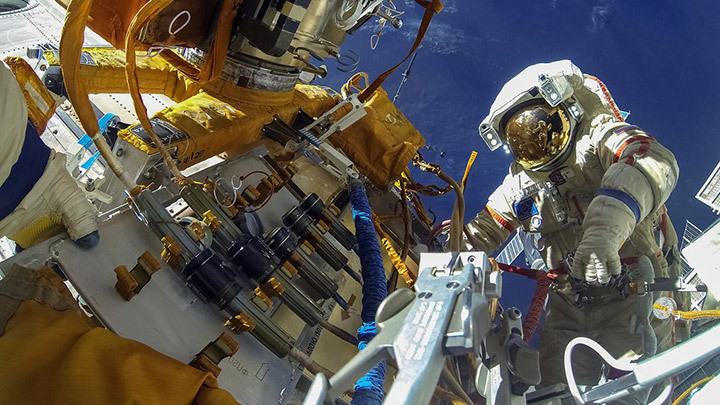 Spaceflight is advancing research in the fields of pharmaceutical research, disease modeling, regenerative medicine, crop science, and many more. Gravity (and the lack thereof) has strong effects on many biological and physical processes. Previous spaceflight studies have demonstrated that microgravity can enable better understanding of fundamental biology and plant science and accelerate advancements in healthcare and medical technologies. These benefits are critical not only for human deep-space exploration but also for improving quality of life on Earth. Modeling human diseases: Spaceflight induces changes in body systems that result in bone loss, immune dysfunction, cardiovascular deconditioning, and loss of skeletal muscle mass and strength, among other effects. These responses of humans and model organisms to spaceflight in many cases mimic the onset of health-related outcomes associated with aging and debilitating chronic human diseases on Earth. Thus, spaceflight provides opportunities both for analysis of these rapid physical changes and for testing of therapeutics in accelerated models of aging or disease. Growing 3D cell cultures: Cell culture experiments on Earth provide a somewhat skewed model of how cells in a living organism might behave because they are in an artificial environment (e.g., lying flat at the bottom of a petri dish or floating in liquid in a flask). In microgravity, cells form complex 3D structures—more similar to tissues in the human body—providing a better model for studying cell behavior, advancing regenerative medicine, and testing the effects of new drugs. 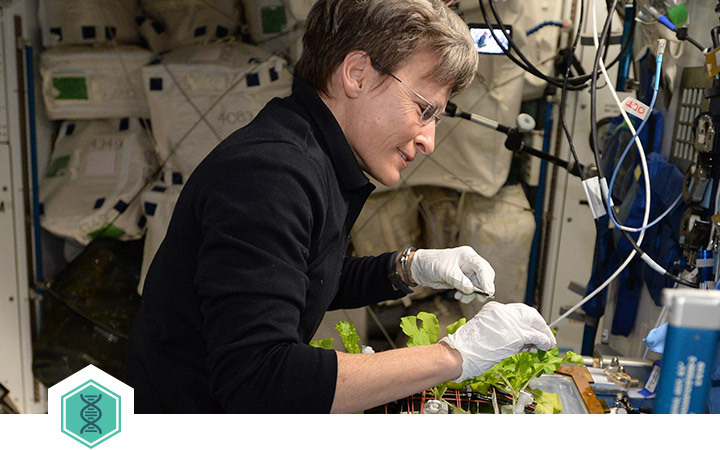 Studying plant biology: Studying plant behavior in the foreign environment of space allows increased understanding of fundamental plant biology. Gravity-sensing mechanisms within plants are critical to their survival on Earth, and buoyancy (a gravity-dependent phenomenon) is an important factor in various plant processes. Adaptive processes of plants during spaceflight may thus advance fundamental studies and agricultural applications such as improved crop yield, increased biofuel production, and development of new varieties. Moreover, symbiotic relationships between plants and microorganisms may be altered in space. Elucidating molecular mechanisms: Microgravity induces gene expression changes in all living things, including humans, plants, animals, cell cultures, and microbes. This may reveal new information about how specific groups of genes influence an organism’s health—information that is relevant beyond spaceflight adaptation. For example, these epigenetic changes can influence the differentiation of a stem cell or the pathogenicity of a bacterium—providing the opportunity for a broad range of investigations to understand fundamental mechanisms involved in human health and disease. Analyzing proteins and large molecules: The structures of proteins and other large molecules determine how they function. Crystallization is an important technique for studying macromolecular structure. Measuring a collection of identical molecules arranged in a repeating crystal lattice is easier than measuring an individual molecule. Some molecules form larger and more well-organized crystals in microgravity. Better crystals and better structural measurements will help scientists learn more about the functions of molecules that are important for health and disease—including natural proteins and hormones of the body as well as drug ingredients to treat illnesses. Advancing nanofluidics and biotechnology: Along with influencing biomedical phenomena, spaceflight also has dramatic effects on fluid dynamics. Gravity-dependent forces drive most fluid movement on Earth, so spaceflight provides a unique environment for studying the nuanced and complex underlying factors associated with biomedical devices that involve fluids—particularly those at the nanoscale, where forces such as diffusion are critical to the function of the technologies. Biomedical investigations can thus employ the space environment in the effort to improve drug delivery systems, healthcare diagnostic tools, and other nanofluidics-based biotechnologies. These benefits are critical not only for human deep-space exploration but also for improving quality of life on Earth. Protein crystallization studies by several pharmaceutical companies seeking to improve drug design—toward advancements in drug manufacturing, storage, specificity, and efficacy. Rodent research investigations by pharmaceutical companies and academic institutes to better understand bone and muscle diseases and test potential drugs. Cell culture experiments sponsored by the National Institutes of Health to study osteoporosis and immunodeficiency. Stem cell experiments by leading academic and nonprofit institutions to improve treatments for cardiovascular disease, the world’s #1 cause of death. Academic and commercial biotechnology organizations using the unique effects of spaceflight on fluid dynamics to advance precision medicine through improved diagnostics and drug delivery systems. Model-organism research sponsored by the Department of Veterans Affairs to explore potential repurposing of existing drugs for other uses. Academic crop science studies that are calling into question fundamental principles of plant biology. The ISS houses extensive, advanced hardware capabilities and state-of-the-art technologies ideal for even the most cutting-edge life sciences research. Browse an online database of ISS National Lab hardware.